White star-like flowers with a golden yellow blotch flowering in late May early June. This is a very old hybrid that is extremely tough, reliable and striking. 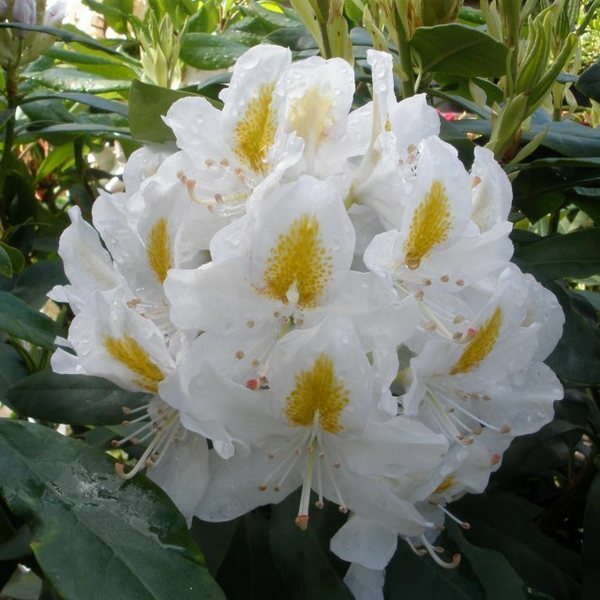 A dense well shaped plant with shiny dark foliage which is ideal for hedging and screening. Height 150-180cm in 10 years.